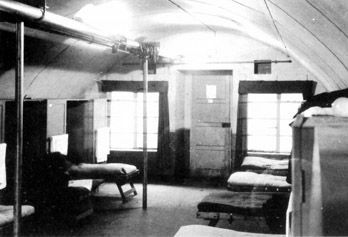 After the end of World War II, the former wartime hospital buildings in Lilford Park were used as a technical school for Poles who had fled the Russians and Germans during the war. The school closed down in 1954, and the wartime buildings in the Park disappeared over the following decades. Throughout WW II the Polish Government in Exile recognised its responsibility for education and, in the most difficult of circumstances, sought to provide a broad range of educational facilities – from primary schools to university degree courses – for soldiers, their families and civilians fleeing from both the Russians and Germans. Following Poland’s defeat in the September Campaign of 1939 it set up primary and secondary schools in France to cater for those who had escaped to the west via Hungary, Rumania and Italy. After the defeat of France in June 1940 the Polish Government, and many of those who had escaped to France just nine months earlier, found themselves in England. Initially the government advised Poles to send their children to English schools limiting itself to funding three hours a week of Polish Language tuition but, as the numbers swelled, Secondary Boarding schools for both boys and girls were set up. Following Hitler’s invasion of Russia on 22nd June 1941 hundreds of thousands of Poles released from Soviet prisons, gulags and places of exile escaped to the Middle East with the gen. Anders army and presented the Polish Government with a fresh educational challenge. This was met by setting up quasi military cadet schools attached to the Polish Forces as they travelled across the Middle East and later fought in Italy and also purely civilian schools in some 50 displaced persons camps scattered across the Middle East, India, Africa and later Italy and Germany. To support these schools many thousands of Polish textbooks were printed in Palestine and later Italy. In the U.K. the Polish Government was successful in establishing Polish faculties at British universities; medicine at Edinburgh in 1941, architecture at Liverpool in 1942, veterinary studies at Edinburgh in 1943 and law at Oxford in 1944 at which young men and women could complete the studies that had been interrupted by war. The Committee for the Education of Poles in Great Britain. Following the end of the war, as a matter of political expediency, the British Government withdrew recognition of the Polish Government in Exile in favour of the puppet communist regime set up by Stalin in Poland but it still needed to cater for the needs of some quarter of a million Polish servicemen, their families and civilian displaced persons. To this end, in April 1947, it established an autonomous Committee for the Education of Poles in Great Britain, staffed by both British and Polish members and chaired by Sir George Gater, working under the auspices of the Polish Resettlement Act of 1947. Publicly funded, it became responsible for the previously mentioned Polish faculties at universitiesas well as adult, nursery and primary education in National Assistance Board Camps and a number of grammar and secondary modern boarding schools which, by 1949 amalgamated into four main schools, two grammar schools, one for boys and one for girls, and two secondary schools. 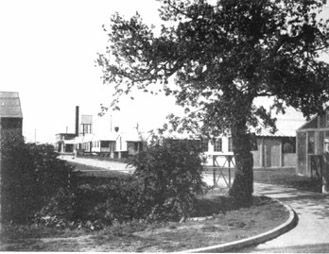 There was also a Technical School (Lilford Technical School) ,and even a boarding school for Polish orphans aged between five and eleven. This school also catered for young children, on a temporary basis, who's parents were sick in hospital or unable to look after them for other reasons. The Committee's task was to ensure that both mature and young people were equipped with language and work skills so they could earn their living in the UK and that, for the younger children, there was a smooth transfer into the British education system. The Committee for the Education of Poles in Great Britain carried out its work in a spirit of admirable harmony and, having completed its tasks, was wound up on 30th Sep. 1954. Of all the Polish schools in the United Kingdom, Lilford Technical School was by far the most interesting. 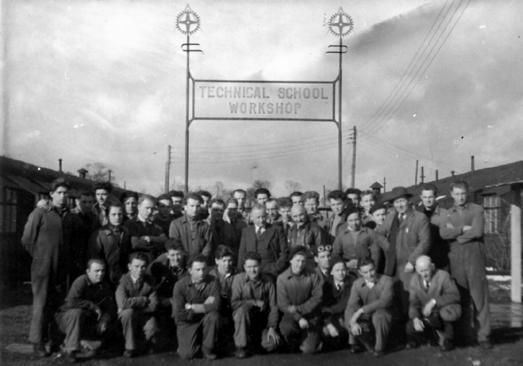 The product of a merger between Landywood Merchant Navy College (December 1947) and Burma Camp Engineering School near Llywyngwril Merionethshire (March 1948), Lilford became a mixed ability Technical School catering for boys in the age range of 13 to 17. 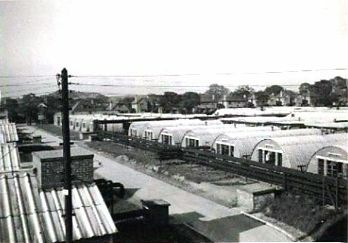 The school was located in the buildings (mainly Nissen huts) of the old WW II hospital in the grounds of Lilford Park. Initially it provided two courses, one of 3 years and the other of 4 years, both of which were designed to train boys for the mechanical engineering industry while at the same time providing them with a broad general education. By the start of the school year 1950/51 the two courses were merged onto a single syllabus delivered through five ability streams catering for varying skills and levels of achievement. Younger boys would be scheduled to complete the course within four years and be expected to achieve a high academic standard, while older boys would concentrate on workshop practice that would prepare them for entry into the world of work. This varying emphasis, within a single syllabus, can be seen in the amount of time spent in the workshops. Boys following the more academic 4 year course spent a total of 1,587 hours in the workshops, while boys on the more vocational 3 year course spent 2,160 hours in the workshops. It was recognised early on that pressure from boys to acquire practical skills which would provide them with well paid jobs in industry might lead to unacceptable levels of achievement in the humanities. Indeed masters, responsible for delivering subjects of general education, struggled to capture the boys’ interest. To support them, the former principal of Haydon Park Grammar School, who had already demonstrated high educational and administrative gifts, was appointed as headmaster in February 1951. Under his direction the school, now consisting of well over 400 boys, flourished with its standards of general education considerably enhanced and without detriment to the standard of practical work. Taking advantage of the boarding character of the school, classes were arranged to provide a two hour break at mid day enabling the boys to take part in social and sporting activities, in full day light throughout the year. During this period of leisure, the boys of their own initiative, levelled football pitches, built a grandstand, prepared the ground for tennis courts, made basket ball posts, and given the proximity of the river Nene, built six canoes. Sport thus became highly developed and the school's record of sporting success was indeed impressive. From 1951, pupils were entered for the East Midlands Education examinations thereby giving them entry to National Certificate courses at British technical colleges. The results of their efforts, given the language difficulties, were impressive and are summarised below. 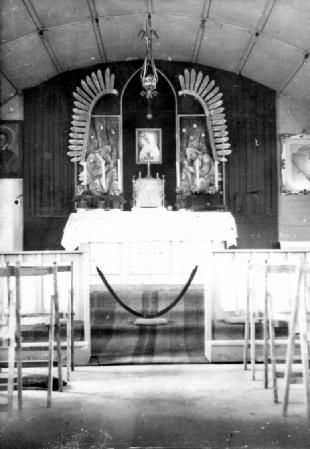 By 1953, most Polish children had acquired sufficient English to enter directly into the British education system, so in September 1953 all remaining Polish secondary school pupils, both boys and girls, were formed into one school at Lilford. 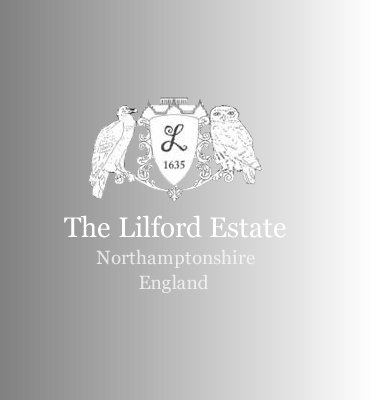 Lilford School attracted the attention of both the local population, which eagerly attended open days and was greatly impressed by exhibited examples of the pupils’ work, as well as educationalists who wrote highly complementary articles in various educational journals. The directors of an important local engineering company were sufficiently impressed by the boys’ work to subcontract the manufacture of parts to the school, on normal commercial terms, so giving the course an important quality of reality. The creation of a Polish Merchant Navy College was first mooted in 1942, but it wasn't until March 1945 that the necessary resources were found for the college to be established, under the direction of Cpt. K.O. Borchardt, in a disused camp in Landywood nr. Walsall in Staffordshire. The college, as remote from the sea as could be in the U.K., laboured under many disadvantages not the least of which was that the British merchant navy did not recognize its nautical training or qualifications. In 1947, The Committee for the Education of Poles, under the chairmanship of Sir George Gater, assumed responsibility for the college and took the view that it should be merged with the Lilford Technical School. 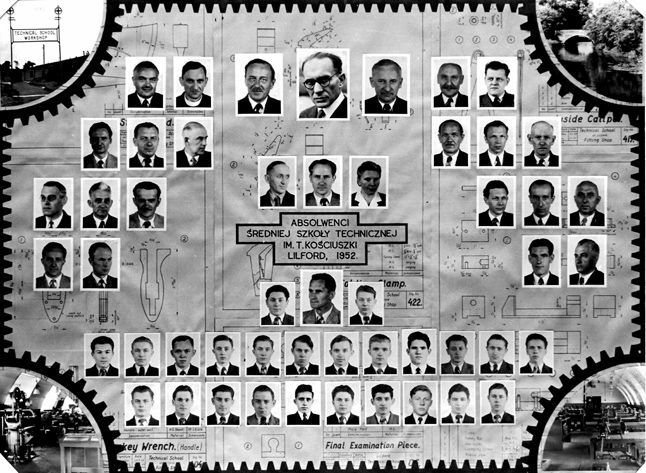 The merger was completed by March 1948 and two special classes, in navigation and engineering, were formed for 45 advanced students from Landywood. The committee also managed to arrange navigational practice for most of the trainees. These two classes, which were independent of Lilford Technical School's curriculum, disappeared in 1949 when the students completed their course. Finally, please click here for more photographs of the Polish School.